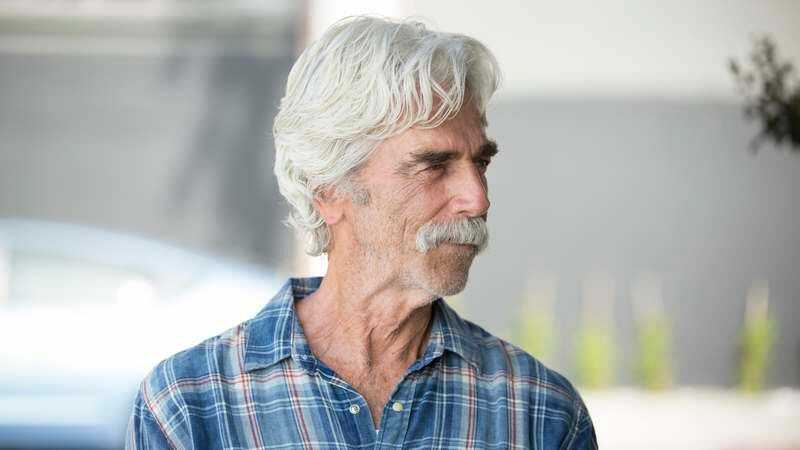 Sam Elliott’s sonorous, gravelly voice demands attention, almost regardless of what he’s saying. The Hero demonstrates this in its very first scene, which sees Elliott’s character, an actor named Lee Hayden, doing voice-over work for a commercial hawking barbecue sauce. “Lone Star BBQ Sauce: the perfect partner for your chicken,” he intones, somehow making the words themselves sound hickory-smoked. His delivery is perfect, yet the offscreen director keeps asking him to try it again, without offering any feedback; when Lee, after four or five attempts, reasonably asks if he should be doing something different, he’s simply told to repeat it once more. And then once more. It’s an amusing portrait of frustration that inadvertently epitomizes The Hero, a film that generously gives Elliott one of the few lead roles of his lengthy career, but mostly asks him to embody clichés, without providing any sense of how he might improve upon them. In many respects, Elliott is playing a fictionalized version of himself here. Lee occupies a low level of stardom—not automatically recognized by everyone he encounters, by any means, but famous enough to receive lifetime achievement awards and such. He’s best known for playing the titular role in a ’70s Western also called The Hero and for an equally ancient Western TV series on which he met Jeremy (Nick Offerman), his best friend, with whom he regularly hangs out and smokes weed. Long divorced (his ex-wife is played by Elliott’s real-life spouse, Katharine Ross), Lee is unhappily estranged from his daughter, Lucy (Krysten Ritter), and has just learned that pancreatic cancer is almost certain to kill him within the next five years. It’s time to get his accounts in order. Naturally, this being a movie, that entails a romantic relationship with a woman several decades younger than he is. Charlotte (Laura Prepon), a stand-up comic who buys drugs from Jeremy, meets Lee at Jeremy’s house and immediately seduces him, though their budding relationship takes a major blow when she tells jokes about screwing a senior in her act. To its credit, The Hero shows some self-awareness about May-December ickiness—Lee voices some of the viewer’s likely objections directly to Charlotte, though she shrugs them off. And director Brett Haley, who also co-wrote the screenplay with Marc Basch, is the rare young American filmmaker who’s sincerely interested in older generations; his previous feature, I’ll See You In My Dreams, starred Blythe Danner, who’s even older than Elliott. (Elliott was in that one, too, as Danner’s age-appropriate love interest, though she also flirted heavily with Martin Starr’s character.) Alas, Haley doesn’t find an especially novel approach to this hackneyed pairing, nor is he much inclined to interrogate it. Charlotte merely represents a measure of unexpected happiness for Lee (once she jettisons her wrinkly-balls jokes), compensating for the rest of his life falling apart. The film’s various other elements—Lee’s initial refusal to tell anyone about his terminal illness; his clumsy efforts to reconcile with his daughter (yes, he even stands her up at dinner); his regret about having made only one film that he’s truly proud of—are all disappointingly secondhand. 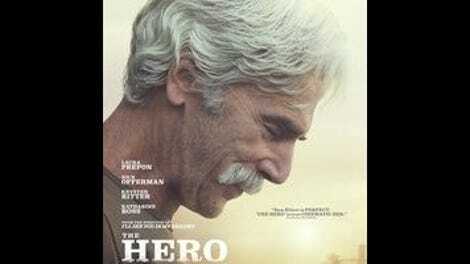 Still, it’s tempting to recommend The Hero in spite of its mediocrity, simply because Elliott has been given so few opportunities to command the screen at length, rather than just steal a scene or two. Lee Hayden isn’t much of a character on paper, and Haley depends far too much on his star’s natural charisma to fill in the gaps. Elliott certainly delivers, imposing his weathered gravity on material that would likely be utterly forgettable in less distinctive hands. He provides what’s asked of him. But why squander such gifts on the dramatic equivalent of a tagline for barbecue sauce?